There's more than one way to mount components onto a PCB. Although through-hole methods have been most prevalent in the past, surface mounted technology (SMT) brings something new to the table. 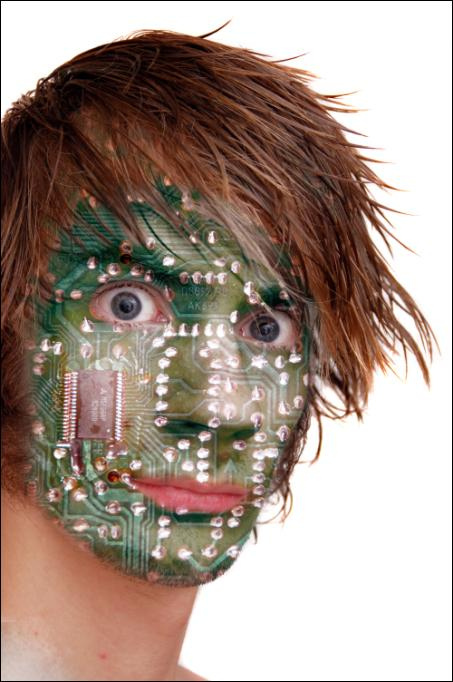 So how can you be sure how to go about completing your PCB design schematics? In order to help you make your decision, here's a quick guide to surface mounted technology, its advantages, its disadvantages, and when it should be considered for use. 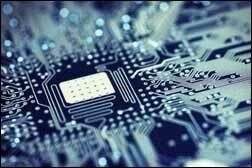 What is Surface Mounted Technology (SMT)? In SMT, components are placed directly onto the surface of a PCB in order to create what is known as a surface mount devise (SMD). Due to its efficiency and effectiveness, SMT has widely replaced through-hole technology methods for constructing PCBs, however, both methods can be utilized on the same PCB. This is because there are some components that are simply not suited to surface mounting. These components might include large transformers and heat-sinked power semiconductors. Generally speaking, SMT components are smaller in size than through-hole units as they have smaller leads or do not have any leads at all. What are the Advantages of Surface Mounted Technology? The primary advantage to SMT, of course, is size. Because today's electronics are expected to be more compact, there is an increase in demand for smaller units. SMT makes this possible. But despite the fact that these units are not as bulky as older devices, there is actually a much higher component density, as well as more connections per each component. This means that electronics can be more efficient and advanced than ever before, while still being as compact as possible. Fewer holes need to be drilled into the boards which leads to faster and more automated assembly processes, and the fact that components are able to be situated on either side of the circuit board simplifies things further. On top of this, there are many SMT parts and components that actually cost less than their through-hole counterparts. All of this results in a lower initial cost, less time required for setting up and production, reduced manufacture cost, and a more efficient use of time. What are the Disadvantages of Surface Mounted Technology? Unfortunately, there are no perfect or fool-proof manufacture processes, and SMT does have its drawbacks as well. As an example, SMT is not suited for any large, high-power/high-voltage parts. Because of this, SMT and through-hole construction may need to be combined for better results. Additionally, the small size of SMDs can create issues, in that the solder joint dimensions continue to grow smaller as advances are made toward ultra-fine pitch technology. Ultimately, this means that less solder is able to be used for each joint which can result in voiding, and integrity issues. The solder connections of SMDs are also capable of being damaged by plotting compounds as they go through thermal cycling. Lastly, SMT should not be used as the sole attachment method for any components that may be subject to ongoing mechanical stress, for instance, connectors that are utilized to interface with external devices which are often attached or detached. When Should Surface Mounted Technology be Used? 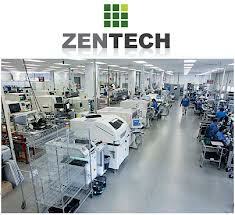 In the past, the vast majority electronics companies did their own manufacturing in-house. In recent years, however, advancements in technology and production methods have made it simpler and more cost-effective for these types of businesses to outsource the work to professional contract manufacturing companies. Although hiring another operation to design and manufacture your assembly electronics may initially seem counter-productive, you would be surprised at how practical this really is. Here's a look at a few of the many ways that working with an outsource vendor can improve your business. For electronics companies that are just starting out, or for organizations that have been established on a smaller scale, the technological investments required to open and operate the business can be extremely overwhelming. As a result, it can take years for these businesses to see any return on that initial investment and start actually to generate a profit. Contracting with a third party manufacturer, on the other hand, can help you to evade these problems and start enjoying success much faster than was previously possible. By taking advantage of your contract partner's streamlined design technologies and existing manufacturing equipment, you can avoid huge up-front costs and start getting your assembly electronics out to the masses much faster. Another problem that many electronics businesses face is related to the regular costs of production. The parts and materials that are required to develop modern assembly electronics can quickly become very expensive. Fortunately, with the help of a contract manufacturer, you can enjoy a bit of savings. Established manufacturing companies will have forged excellent relationships with suppliers offering competitive rates, meaning that the cost to produce one device will be scaled back. Multiply that by hundreds or thousands, and you could significantly pad your bank account. Additionally, the expertise of a contract manufacturing partner can help you to scale back on the parts necessary to complete your device, reducing expenses further. In the world of technology, there is never an excuse for not improving. No matter how advanced your products are today, they will soon be replaced by something even smaller, lighter, and more sophisticated than ever before. Because of this, it is very important that you are able to have as many hands on deck as possible throughout the design and manufacture of your assembly electronics. With a broader range of talent reviewing your plans and completed products, you're sure to keep moving forward. If you could add more knowledge and experience to your team, why would you ever choose not to do so? By contracting with a third party design and manufacturing service, your employees will be exposed to even higher levels of industry intelligence and expertise. By collaborating together, everyone benefits, and your products will become better than ever before. We live in a dog eat dog world, and even one small mistake could cost you the business of a major customer, which could cause significant damage to your company. Because of this, you cannot afford to distribute faulty or sub-par assembly electronics to your clients. Enlisting the services of a contract manufacturer will help you to build and maintain a solid reputation, and will also help you to establish a loyal following of clientele. Thorough research, planning, and testing will ensure that the best devices are produced and shipped to the customer every time. When you've got a solid partnership with a contracted design and manufacturing service, you and your team are freed up to dream of bigger and better things that will allow you to take your business to the next level. With nothing to hold you back, you will be able to accomplish all of your objectives and thrive. Streamline your business and improve your assembly electronics by establishing a relationship with the best contract manufacturer possible. When a PC board fails or malfunctions, are you the type of business that decides to chuck it out and replace it, or do you take the opportunity to troubleshoot and repair? Although it's unfortunate, most smaller electronics businesses simply don't have the time or resources required to investigate PC board troubles, and the process of repairing system components can actually become more expensive than simply replacing it with a new one. It doesn't have to be this way, though. 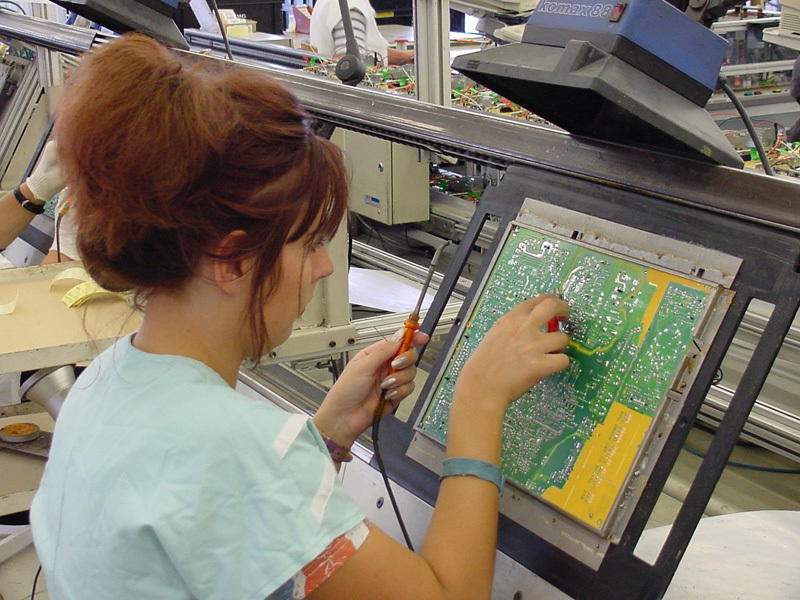 A growing number of operations are electing to work with contract manufacturers who offer stellar PCB repair services because it is extremely affordable and can actually help to lower your costs. Here's how you can find PCB service repair that is budget-friendly and can improve your business. Putting a new product out in the world is a very exciting prospect, but building up a hype about a vision is not always easy. How can you get your customers excited about what you have to offer, when you don't actually have it on offer yet? This is where PCB prototype assembly comes into play. By transforming your ideas into something tangible, you can generate interest in your electronics as a means of testing your target audience for responsiveness to the product or taking pre-orders to fund the manufacture of a larger product supply. Whatever your reasons, developing a professional prototype will make a significant difference for your business. Here's a look at what you can expect when you work with a contract manufacturer to create your PCB prototype. In some instances, you may have a working concept of what it is that you want your device to be able to do, but you're "stuck" on actually putting those ideas into motion. In this case, you would be best served by hiring a contract manufacturer to help you come up with an efficient and effective design schematic. With a thorough knowledge of industry standards, your partner company will have the ability to streamline your thoughts into a plan for a cutting edge product that is sure to impress your client base. With a little help from professional engineers, you'll find that even better ideas might be brought to the table, taking you and your device to the next level. 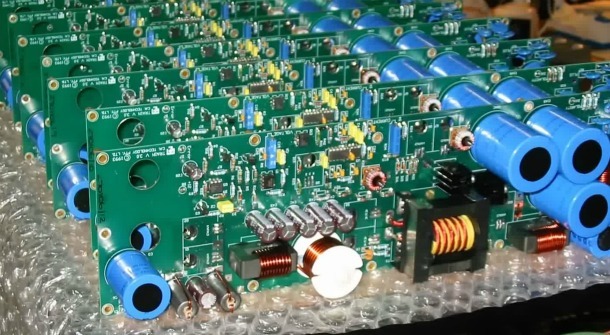 Once the design phase has been completed, it is time to move into the PCB prototype assembly process. Whether you and your team were able to entirely develop the schematics for your product in-house, or you worked with your contract manufacturer to further develop your concepts, you will now have the opportunity to see those ideas brought to life in the form of a working prototype. Your contract manufacturer should have an extensive background in developing sensitive electronic devices, and utilize state-of-the-art machinery and equipment when doing so. The product should then be tested for functionality and any errors should be trouble-shooted and corrected promptly. This ensures that you'll be able to go to your customers with an outstanding prototype that will truly impress them. In many cases, you will need help developing your new product fast. If a client is expressing interest in your ideas and would like to set up a meeting to test your products, you need to be able to present your electronics and close the deal quickly. Regardless of when you need your device ready, your contract manufacturer should be able to handle the pressure and navigate through the PCB prototype assembly process in a timely manner. 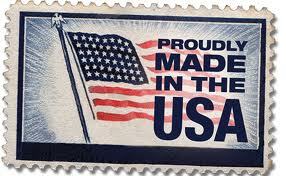 Additionally, working with an American based manufacturer will ensure speedier service and higher quality parts. With a significantly reduced shipping time, you'll receive your prototype much faster. And when you work with a domestic partner, you can rest assured that all industry standards will be adhered to. When you have the ability to take even your most basic concepts and turn them into a professional prototype, you will have the opportunity to truly thrive. By developing a working model of your newest product offerings, you can keep up with the competition, stay ahead of the curve, build buzz for your business, and expand your client base. As you're able to introduce your concepts to the market faster and receive more immediate feedback through the PCB prototype assembly process, you will find that your business will only continue to improve. An idea is only valuable when it can be shared with the world. Are you ready to take your concepts the next level by working with a contract manufacturer for PCB prototype assembly? As both the starting point and reference point for all of your products, there is arguably no more important aspect of electronics manufacturing than design. But even if your team is comprised of skilled and knowledgeable engineers, you may not be constructing the best or most efficient devices. 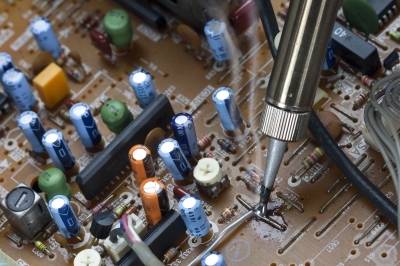 How can you ensure that your electronics are a cut above the rest? Here are five incredible design services that you can expect from a qualified contract manufacturer, and how they will work to your benefit. Because technology is constantly evolving, electronics engineers and manufacturers are required to constantly keep up with their education, as well as any industry changes. As humans, however, it is impossible for the folks on your team to know everything about everything. That's why it's so smart to enlist the help of electronics design services. Instead of rushing the first draft of your engineer's plans off to be manufactured, it's a good idea to have a contract manufacturing company take a look at the schematics. Your design service may spot changes that could be made to save your business money to improve your device's functionality. It is possible for even the most experienced designers to get "stuck in a rut" from time to time. When problems or complications arise during the design process, your team may find themselves unable to work out the answer. As days pass by, your employees will grow increasingly frustrated as you lose time and money on your inability to get around the obstacle in front of you. By working with professional electronics design services, you can enjoy the perspective of a fresh set of eyes who will be able to determine the root of the issue and work past it. The last thing you want is to pour excessive amounts of money into manufacturing an electronic device that is based upon flawed design schematics. In order to avoid damage to your bank account (and your reputation), it is imperative that you take the time to carefully test your plans before giving the green light to move forward with production. 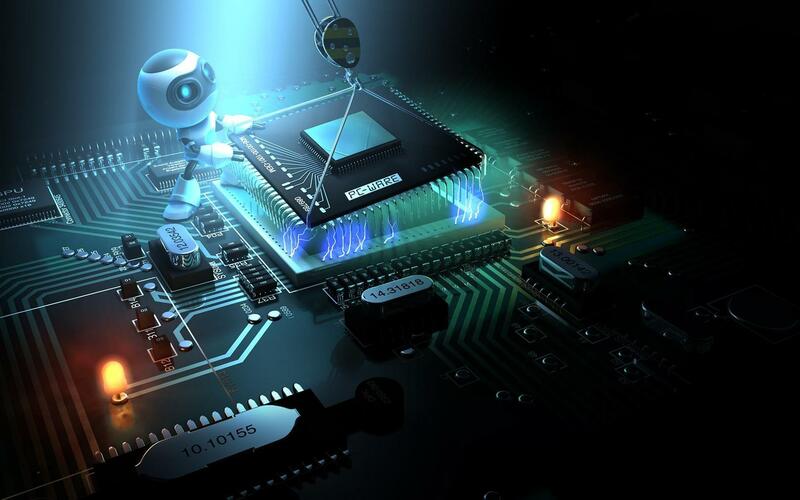 Electronics design services will have the ability to thoroughly test your plans for efficiency and effectiveness. Additionally, your design service should have the ability to help you create test platforms that are built to your specifications before you ever have to commit to large orders. This will give you the opportunity to test out all of your ideas and prototypes before moving to the advanced production phase, and will ensure that you are able to develop the best products possible. Although your electronics business may have a knowledgeable team of engineers who are working in-house, it does not necessarily mean that you wouldn't benefit from a little outside help. Numerous operations make the decision to work with contract manufacturing companies for electronic board design. In some cases, a new set of eyes is required to work out the problems with a particular set of plans, whereas others may be looking to save money as product demand increases. Regardless of your reasons, you can help to improve your devices and your business by finding the right manufacturing partner. Here's a look at what you can expect from professional electronic board design. Your products are only limited by your imagination - especially when you have the best designers and technologies on your side. Skilled engineers with decades of industry experience are more than capable of bringing your concepts and ideas to life through concise, efficient design schematics. Paired with state-of-the-art design software, you can rest assured that the plans for your electronic board design will be a cut above the rest and will give you a competitive edge. Even if you are in the works of developing a brand new device or prototype, you will be able to get your plans set into motion faster. And if you're stuck on a particular problem, your manufacturing partner will be able to pinpoint the issues and come up with a timely solution. There is no reason that working with a contract manufacturing company for electronic board design should not help your business to save both time and money. Your partner's engineers should work diligently to ensure that all of your internal technical resources are utilized exactly when and where you have planned, for maximum value and efficiency. Additionally, your partner should be mindful of keeping your project on schedule and on point with your budget. By taking advantage of automated software programs and skilled employees, your project can be completed faster than had you chosen to go it alone, and errors can be avoided. In the long run, this will save the costs and hassle associated with troubleshooting for faults and redesign. In addition to all of this, experienced contract manufacturers may be able to cut down on the amount of materials required for your project's design, reducing your production costs even further. Multiplied by hundreds of boards, this can make a significant difference in your budget. When you have help with the electronic board design process, the minds of your internal designers and engineers are freed up to develop bigger and better ideas. This means that you can be constantly moving toward higher goals and expanding your business. With a greater offering of products and high-tech devices, you will expand your market base and effectively grow your business. As your ideas become more advanced and the demand for your products grows, you will not be held back by a lack of experience, manpower, or technology, as your partner will be able to keep you moving forward. The success of your business all begins with the initial electronic board design process. By taking the time to get it just right, you can grow your company and thrive. How could you benefit from professional electronic board design services? In this economy, numerous small and medium sized businesses (SMBs) arelooking for ways to scale back their costs and increase their profit margins. Unfortunately, this means that some electronics companies are questioning whether or not they really need the help of a contract electronic assembly. The problem is that, with limited resources, many businesses are unable to efficiently keep up with consumer demands without the help of a third party. In the end, these particular SMBs may realize (too late) that they actually hurt their sales by not hiring an electronic manufacturing company. Here's a closer look at the top 5 reasons why such a partnership is so important. In many instances, the design of your electronic devices is actually the most complex, challenging, and time-consuming portion of the manufacturing process. Your team of designers and engineers must carefully work to create a product that will meet the needs of your consumers, be appealing to the market, and operate quickly and efficiently for maximum customer experience. After many hours of slaving away over the schematics, however, your team may actually be too close to the project to notice critical design flaws, errors, or to be able to overcome roadblocks. In these instances, the partnership of a contract electronic assembly and electronic design services is of the utmost importance. Here, a group of skilled and experienced individuals will be able to intervene and ensure that the product design is completed with speed and precision so as to keep your costs at a minimum. Most SMBs lack the funding to keep up with the major league electronics companies when it comes to manufacturing technology. With today's electronics devices growing smaller, lighter, and increasingly complex, though, this is becoming a very big problem. You cannot expect older machinery or assembly line workers to keep up with how quickly and accurately state-of-the-art robotic arms are able to operate. In order to avoid being left in the dust, it is wise for smaller businesses to turn to a contract electronics manufacturer who can supply cutting edge manufacturing technology and provide a competitive edge. The cost to produce your electronic devices and the prices that you must charge your customers are all impacted by how much money you are required to invest in parts. Unfortunately, suppliers often mark up their prices when working with companies with whom they have not developed a lasting partnership. For smaller businesses, it can take a lot of time and cash to build up such a relationship. The good news is that a contract electronic manufacturing company will be able to do all of the heavy lifting for you. By working with a third party, you can take advantage of the relationships that they have established and enjoy a reduction the the cost of parts without ever being forced to sacrifice quality. If there is a fundamental problem with the design of your device, or if something goes wrong during the manufacturing process, how long would it be before you noticed? Would it be after hundreds of faulty devices were produced, or worse - after the product had been shipped to the end-users? When you work with a third party assembly manufacturing service, your devices will be regularly checked for flaws to ensure that your money will only be spend on the production of high quality and fully functional devices. Any problems will be promptly addressed to ensure that your orders are completed quickly. 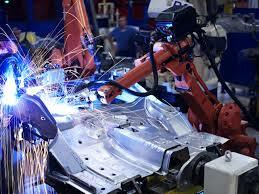 Why shoulder the burden of troubleshooting and repairing/replacing faulty equipment yourself? With the right partner, you can cut down warranty costs and get working products back to your clients quicker than ever before. Are you ready to partner with a professional contract electronic assembly company?